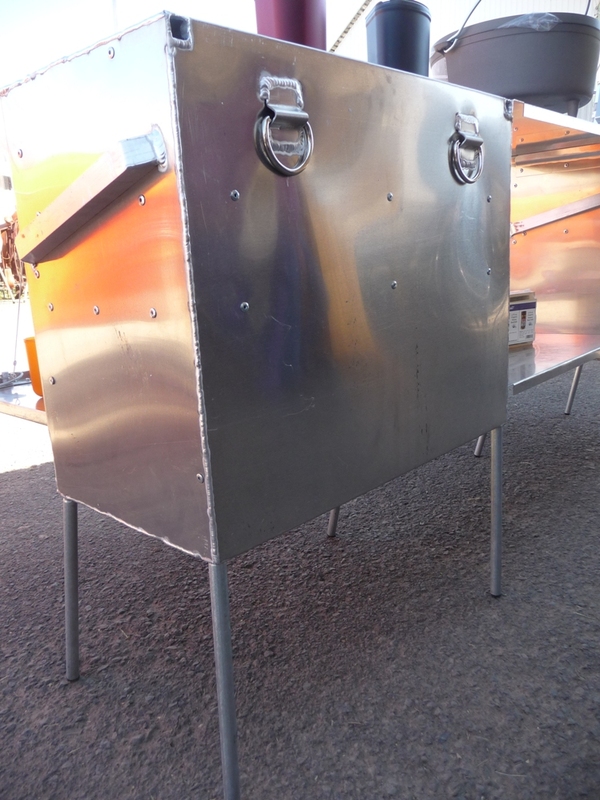 Mountaineer Camp Kitchens: These Kitchens are made from high-grade aircraft aluminum material. They are lightweight and extremely durable. They are designed for tailgate campers, hunters, and anyone enjoying the outdoors that needs to protect their food from animals. They are IGBC bear resistant (Intermountain Grizzly Bear Committee approved) and critter proof. The mountaineer kitchen panniers also set up into a portable table with your cooking gear and food on the side. This adds a lot of space for cooking, eating, doing dishes and playing cards. The Kitchens also have shelves inside that help you pack you food neatly so nothing gets smashed or broken. The Doors set at a right angle making your food and cooking gear easily accessible and gives you extra clean space to set your gear while you find what you need. This is a highly recommended item and makes packing in the wilderness a lot more convenient. It also makes a great emergency box where non perishable foods can be kept in case of an emergency. 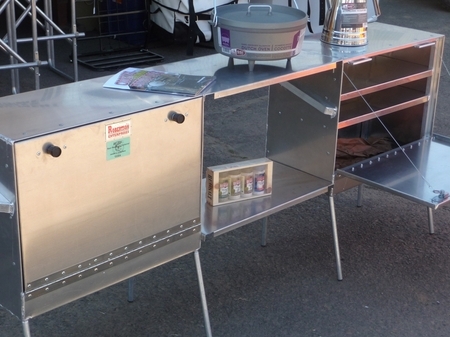 Mountaineer Camp kitchens are priced as a pair and come with 2 table leafs.